Besides the makeup goodies, she added some lovely extras, samples, a Sabon (a fav brand of mine) hand Cream, and Pop-Tarts. There were two packs of Pop-Tarts, but I was devouring one while taking this picture. Thank you for all the extras belly, especially the Pop-Tarts! Oh i miss pop tarts!! And nothing is more fun than a box full of goodies from friends! Enjoy your haul, Liz! What a wonderful package! I love Canaille too. 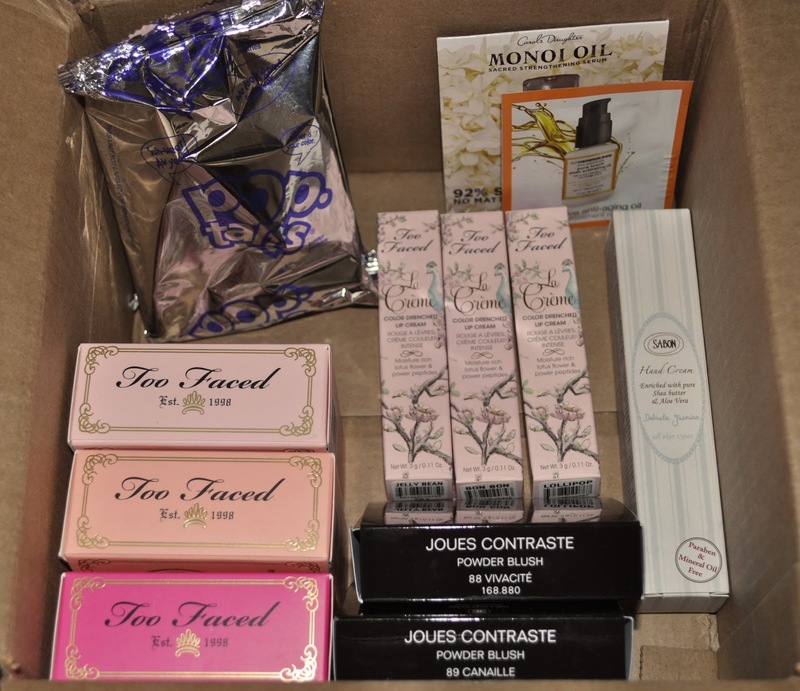 I'm curious about the Too Faced products. I like Wondegondigo's site too.